INDICATION FOR USE: In patients with essential tremor whose tremors cannot be treated using medication. Patients must be at least 22 years old. The designated area in the brain responsible for the movement disorder symptoms (ventralis intermedius) must be identified and accessible for targeted thermal ablation by the ExAblate device. If medications fail, treatment with surgery (thalamotomy) or deep brain stimulation to destroy thalamus that controls some involuntary movements. 12 mo post-procedure : 40% percent improvement compared to baseline. Other effects possibly related to MR-guided focused ultrasound treatment: Tissue damage in an area other than the treatment area, hemorrhage in the treated area requiring emergency treatment, skin burns with ulceration of the skin, skin retraction and scar formation and blood clots. 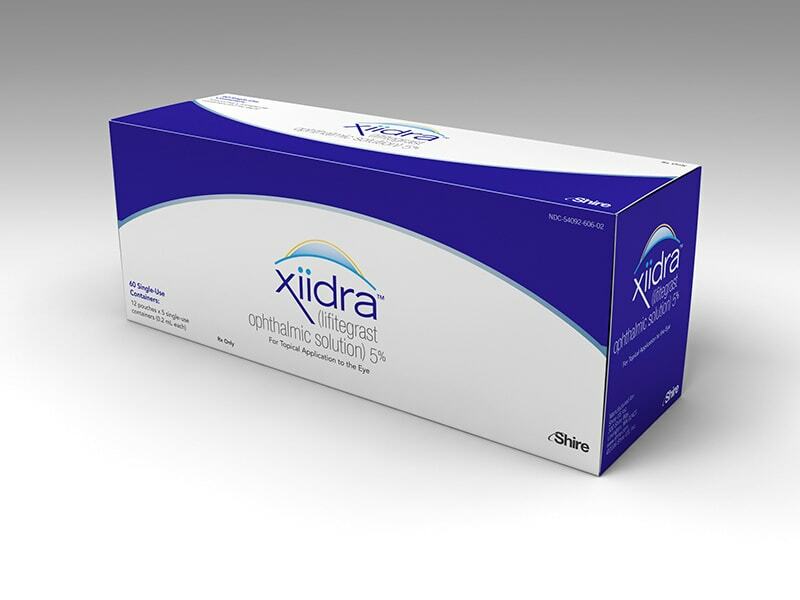 INDICATION: Treatment of the signs and symptoms of dry eye disease (DED). SAFETY: Most common side effects: Eye irritation, discomfort or blurred vision, unusual taste sensation (dysgeusia). INDICATION FOR USE: For cataract patients with an extended depth-of-focus, which helps improve their sharpness of vision (visual acuity) at near, intermediate and far distances. SAFETY: Worsening of or blurred vision, bleeding or infection.